Not sure why it is referred to as a “sprint.” I don’t consider 120 miles a sprint by any calculation. Nonetheless, Bill is on his way home!! He and Rod left Cedar Key this morning around 7:00am. VERY disappointed in the wind conditions. He really wanted to put the sails up and help get home fast. 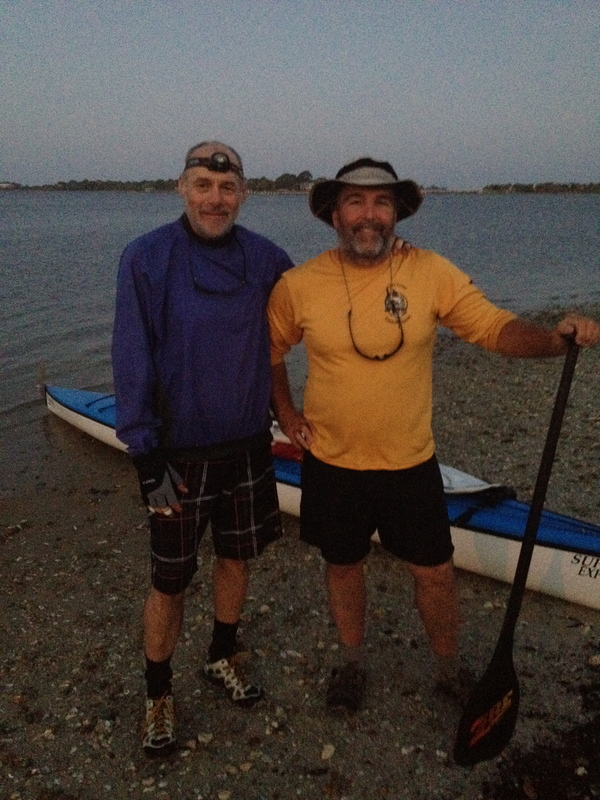 They are going to attempt 55 miles Wednesday and Thursday and then put in a “leisure” 10 mile paddle to Ft. Desoto. We shall see. He was thrilled to have a hot shower and not have to put his tent up for at least one night. He looked in the mirror and said, “What do you think of the beard?” I said, “It is very white.” He said, “Yea, I think I will shave it when I get home.” Oh yes, he will. It is day 26 of this adventure and the end is near. Woo-hoo!!!! More details on Ft. Desoto to come. Awesome! Can’t wait to see him when he gets back and congratulate him (and thank you, Lisa) for doing this. Outstanding! The hard part is behind him. Looks like Bill’s biggest remaining decision is when does he want the fun to end. If the Wind guru forecast is right, he should have light winds out of the SE to SSE through Friday. Good forecast for the last liesurely leg of the UFC. This is so exciting! Can’t wait to hear him write of his experiences. 55 miles per day. Hope they have some favorable winds to help them along the way. They seem to be pacing themselves fairly well, yet 55 miles in a day seems rather ambitious, especially when it’s days 26 & 27 of this challenge.